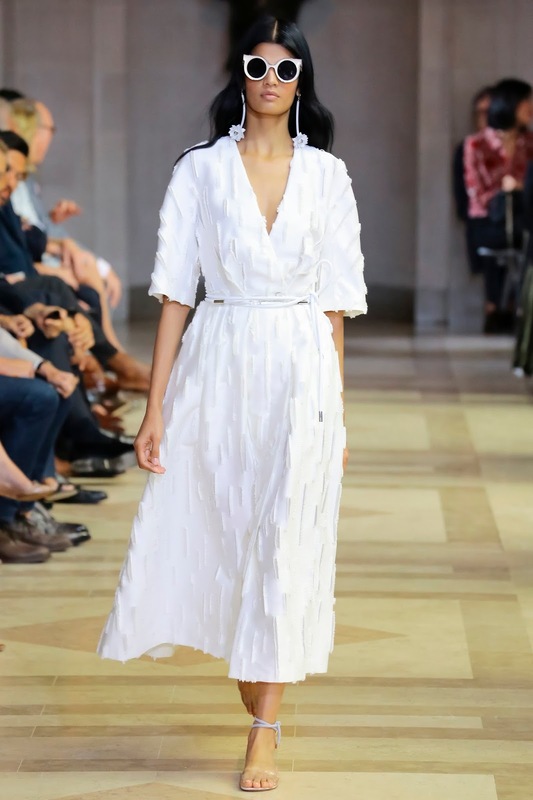 One of my favourite collections from NYFW for SS16, so feminine and flirty with soft pleats and sheer paneling which appeared so delicate and effortless almost floating down the runway. 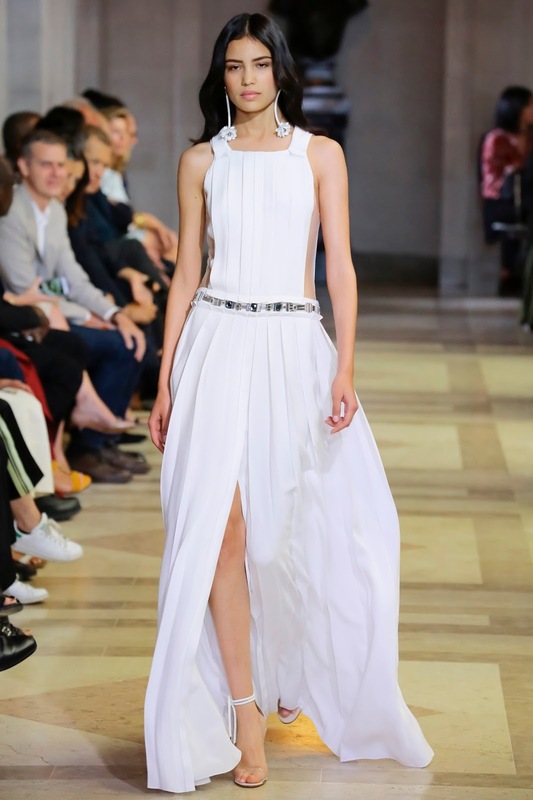 Styles were elegant from ballgowns to midi dresses, I love the shorter hemlines too adding a modern youthful feel. Featuring a sweet colour palette with shades of pink from candy floss to bubblegum and fuchsia. Fresh whites, mixed along with pops of black adding an edgy vibe to the sophisticated collection. I love the embellishment detailing and contrasting textures, the neoprene and mesh fabrics create the perfect juxtaposition against the delicate organza. My favourite piece has to be the pastel pink sheer shirt dress...such a dreamy collection!